This week’s G20 summit in Germany is eagerly anticipated by many, but for the wrong reason. Rather than help in “mastering and shaping the challenges of our age”, to quote the summit’s official list of priorities, the greatest interest will be in how individual political personalities interact in a world struggling to muster enough enthusiasm for the collective action needed to address shared problems. By intensifying longstanding structural impediments to the G20, the outcome of this summit is likely to be little more than a nicely worded communique that papers over differences rather than dealing with them to advance global prosperity. The real progress, if any, will result from bilateral discussions held on the sidelines. On July 7-8, Hamburg is hosting the 12th G20 summit, bringing together heads of state and governments from the most influential countries as well as officials from regional and international organisations. With the meeting held under the auspices of the German government (which holds the group’s 2017 presidency), trade and climate change lead an ambitious agenda that this year includes Africa, financial stability, geopolitics, infrastructure, migration, North Korea, pandemics, refugees and terrorism. Not so long ago, a common set of principles, broadly labelled “neoliberalism”, anchored deliberations on collective action to deal with such challenges. But the traditional leaders — the US and, to a lesser extent, the UK — are now distracted and less interested or able to play a global role. Having walked away from the Paris climate accord and withdrawn from the Trans-Pacific Partnership, the US is still in the process of reconciling its “America First” approach with existing multilateral initiatives — let alone new ones. For its part, the UK, which has often punched well above its weight on regional and global stages, is embroiled in Brexit with a weakened government that is yet to coalesce around policy proposals. When it comes to filling the global leadership vacuum, Germany is less well suited — at least as yet — to pick up the mantle, especially with its reluctance to assert itself too visibly. Japan is also historically challenged. China, with the second-largest economy and the biggest stock of international reserves, has not fully embraced smaller global responsibilities. France has a new, young and energetic president, but a world leadership role is hampered by years of reform delays at home. Russia raises a host of objections from several other G20 members. Some have suggested that a combination of countries may be the answer, with China and Germany being the most cited pair. But here, again, the challenges are considerable — not least because of their competing political orientations and treatment of institutions and civil freedoms. If anything, this year’s summit illustrates the world’s slide towards what Ian Bremmer calls the “G-zero” There is now no country able and willing to replace the US and lead a global agenda in an effective and credible manner. Thus, the list of problems whose solutions need multilateral co-operation, validation and verification is growing. The damage from this vacuum has been increased by a design decision taken at the G20’s launch: that of depriving it of a permanent secretariat. While the founding members’ motivation for this was understandable — to avoid a costly and bureaucratic multilateral organisation and, instead, pursue “an informal co-operative forum founded on shared values” — it has brought a harmful lack of continuity as the annual presidency passes from one country to another (Argentina is next). Initiatives that are necessarily multiyear receive too little attention over time, especially as each new presidency adds its own favourite topics. This is a structural flaw that could easily be fixed if only there were sufficient commitment to a minimum degree of collective action — but there is not. The best that can be hoped for this week is a communique that sidesteps the differences within the international community which eat away at its ability to exercise the shared responsibility demanded by the problems of our interconnected and interdependent world. The effects of the forgone opportunities will inevitably trickle down from the global level to that of individual countries. After all, it is hard to be a good house in a challenged neighbourhood. Amazon vs. Walmart: Which One Will Prevail? In the media hullabaloo following Amazon’s announcement this month that it was buying Whole Foods Market, largely overlooked was the same-day news that Walmart was acquiring menswear e-tailer Bonobos. While Amazon did make a bigger splash with its $13.7 billion foray into organic groceries, Walmart beefed up an e-commerce stable that already includes the acquisitions of digital natives Jet.com, Shoebuy, ModCloth and Moosejaw. Collectively, these M&A deals have set Amazon, the world’s largest e-commerce company, on a direct collision course with Walmart, the world’s largest retailer, to be the “everything store” in an omni-channel world — where consumers no longer distinguish between shopping online and offline. And it pits two Baby Boomer mavericks, Amazon CEO Jeff Bezos and Whole Foods CEO John Mackey, against Walmart’s e-commerce chief Marc Lore, the Gen X founder of Jet.com. “You can see they’re coming at each other,” says Barbara Kahn, Wharton marketing professor and director of the school’s Jay H. Baker Retailing Center. The Amazon deal is “clearly a big play into the food business,” she says, noting that food items are one of the most frequently purchased goods. In buying Whole Foods, Amazon hits Walmart squarely where it hurts: 56% of its U.S. sales come from food and grocery items. Amazon now adds Whole Foods to its other food operations: Amazon Fresh, Prime Now, Prime Pantry, Amazon Go and Amazon Fresh Pickup. Amazon takes a page from Chinese e-commerce giant Alibaba, which has invested more than $9.3 billion in offline stores since 2015, according to Reuters. In the U.S., Alibaba has not had much of an impact. It sold its U.S. unit, 11main.com, in 2015 — just one year following its launch — after it failed to gain traction among Americans. Alibaba has said that its international strategy is focused on enabling merchants globally to sell into the Chinese market, instead of competing head on with Amazon and other retailers. Amazon has no such reservations. In 2016, it began offering free shipping to Chinese Prime members, among other moves. But don’t count out Walmart just yet. It may have started out old school, but it has offline scale. While Amazon will get about 460 Whole Foods stores, that’s still minuscule compared to Walmart’s nearly 4,700 stores in the U.S., including around 660 Sam’s Club locations. Amazon has 340,000 employees and Whole Foods will add another 87,000, but Walmart employs more than 1.5 million people in the country. In their latest reported annual revenue, Amazon booked $136 billion while Whole Foods posted $15.7 billion. Walmart was at $485.3 billion. But the story reverses when it comes to growth: Walmart sales rose 0.8% year-over-year, Whole Foods rose 2.2% while Amazon roared ahead by 27%. Still, Amazon has problems to fix at Whole Foods. The grocer posted seven straight quarters of falling same-store sales at locations open at least a year, a key retail metric, as rivals sold organic food at lower prices. Another problem is that Whole Foods lags in analytics and tech capabilities, among other ills, according to hedge fund Jana Partners, a major shareholder that threatened a proxy battle if performance doesn’t improve. “Whole Foods still has a good brand name, but revenues have slowed and it is a pretty mature grocery brand at this point,” says Wharton emeritus marketing professor Stephen Hoch. In the future, Amazon could upgrade Whole Foods with innovative retail technologies in use at its fully automated experimental store, Amazon Go, where shoppers pick up their food and leave. There are no cashiers or checkout lines. Amazon tracks what’s taken, or put back, and charges their accounts. “Just imagine the power of this and how far ahead Amazon-Whole Foods will be of other retailers when they introduce this new system,” Wind says. Denise Dahlhoff, research director at the Jay H. Baker Retailing Center, says Amazon and Whole Foods also complement each other. “Amazon is bringing its expertise in supply chain, in data and technology to the table and they are super customer-oriented,” she says. “Whole Foods is bringing its expertise in healthy food, and … stores in very attractive urban areas that are heavily frequented by a higher-income customer segment. The brand is also about community and the in-store experience — the rich, sensual experience you get by seeing nice displays of food, produce and baked goods.” This sensory experience is something Amazon cannot provide by selling goods online. In addition, Amazon can deploy data analytics to customize services to make life easier for shoppers. For its part, Whole Foods brings to the table its relationships with local vendors that offer unique items. Amazon can give these merchants more exposure and scale, she says. Amazon also could add more private label goods to Whole Foods’ smaller, less-expensive stores called 365. Amazon and Whole Foods target similar consumers as well. Dahlhoff says close to 80% of Whole Foods shoppers also buy from Amazon — and cross-selling goods will be easier. Walmart, on the other hand, targets a different customer than those of its acquired upscale e-tailers and so it faces more challenges in reconciling all these brands. A good strategy would be to keep the brands separate and not link them too closely with Walmart, she says. Indeed, the Jet.com website does not sport Walmart’s logo and only mentions the discounter in a listing of job openings. Walmart, of course, has traditionally focused on price and caters to a different customer than Amazon: typically lower-income, budget-conscious households. While it has acquired some higher-end e-tailers such as Bonobos, these remain a small part of its business, Hoch says. Meanwhile, Walmart has been changing, too. It is innovating on the back end to leverage its large distribution network. Lore introduced a pilot program to let employees deliver packages on their way home for extra pay to take advantage of the fact that Walmart has stores within 10 miles of 90% of Americans. “If they now can use that same infrastructure to get stuff to the e-commerce users by using their employees to do the ‘last mile,’ that’s going to be hard for Amazon to duplicate,” says Leonard Lodish, Wharton emeritus marketing professor. The “last mile” to the customer’s doorstep is the most expensive part of delivery. But Wind thinks Walmart’s tactics are “a little confusing and a little late” as it tries to catch up with online merchants. However, he notes that with its scale and track record of success, the discounter will eventually become digitally savvy even if it takes longer than expected. At least, Amazon can afford the $13.7 billion price tag for Whole Foods — last year’s free cash flow alone was $9.7 billion. And Wall Street will likely give Amazon some room to run because it has a proven business model and an innovative and aggressive CEO. “The market has been giving Jeff Bezos a lot of room to do what he feels is in the long-term best interest [of the company] and they’re not punishing him if he has short-term uses for his capital that don’t go to the bottom line right away,” Lodish says. Should Trump Abandon the GOP? 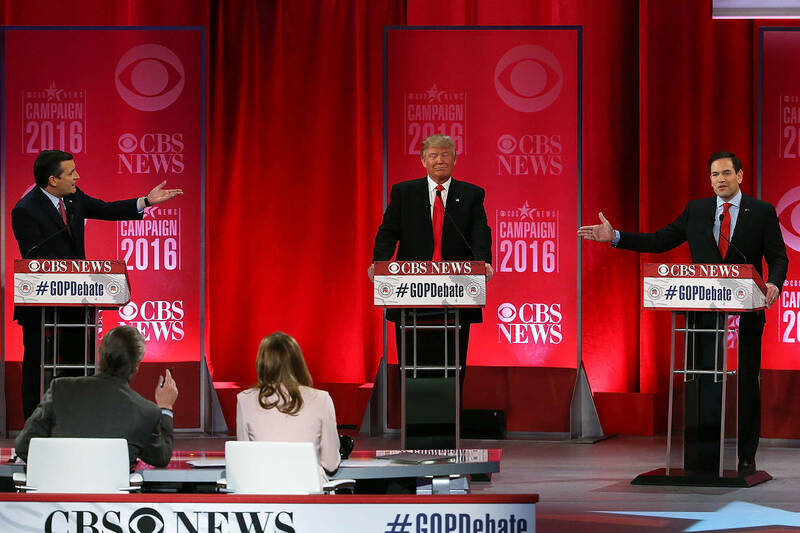 Donald Trump may separate himself from a party disabled by a permanent blocking minority. In 2016, Donald Trump stood on debate stages and ran against a half-dozen Republicans in the party’s presidential primaries. He won. With his presidential victory came Republican control of the House and Senate, in part because of his coattails. After Senate Republicans this week failed to move a bill to repeal and replace Obama Care, Mr. Trump must be asking himself: Why do I need these people? Just now, that’s a good question. If the congressional Republicans can’t do ObamaCare reform after years of chanting they would, what chance is there they’ll pull off the heavier lift of tax reform? Mr. Trump has to be wondering whether he would be better off with his version of the Obama presidential model: govern by pen-and-phone executive order through the agencies he controls. Barack Obama rendered Congress moribund with little outcry from voters. The Obama error was his predictable left-wing overreach with extralegal decrees like the Clean Power Plan, which failed a court challenge before the D.C. Circuit. To succeed as president, Mr. Trump has to show he can govern, and it looks like that may require separating himself from a Republican Party disabled by a permanent blocking minority with no interest in governing. At the level of domestic politics, successful presidential governing means not much more than enabling and attaching oneself to an improving economy, as the impeached but popular Bill Clinton proved possible. The economy is already strengthening, and Mr. Trump can direct Treasury Secretary Steven Mnuchin and White House economics chief Gary Cohn to accelerate their deregulation of financial and energy markets. Before the Republicans lose seats and maybe control of the House in 2018, Mr. Trump can still extract a few things helpful to himself. Desperate incumbents, such as Nevada’s ObamaCare reform opponent Sen. Dean Heller, will be looking for a legislative life raft. Mr. Trump no doubt could get a modest tax-cut bill passed this year. That will support slow but steady upward growth unless he retards even that with a regime of steel tariffs and myriad trade uncertainties. Real tax reform would liberate the U.S.’s ocean of pent-up capital and produce an economic boom, assuring continued GOP control of Congress. But Republicans like West Virginia’s Sen. Shelley Moore Capito see their reason for being as protecting the Medicaid status quo. Some may say Mr. Trump and the Republicans will now take political ownership of the steady collapse of the ObamaCare exchanges. But he didn’t create these things; Congress did, and when voters elected a Congress to reform ObamaCare, it failed. The press will dump full responsibility for this political nonfeasance on congressional Republicans, and voters will take it out on them in 2018. Health and Human Services can tinker with the failing ObamaCare exchanges, as it would have under Hillary Clinton anyway, and Mr. Trump can blame Congress for the residual mess. As to Mr. Trump’s low approval rating, the danger there was always that it would scare away Republicans from his agenda. That looks moot now. The Republicans’ approval rating is no doubt already plummeting. Mr. Trump’s approval will rise as the economy improves and if he modulates himself by about half, as he’s done recently. Most intriguing of all is the longer term future of Mr. Trump’s formal relationship with the Republican Party. After voters in 2018 reorder Congress, Mr. Trump can consolidate his base with a big infrastructure bill co-designed by Democrats and likely approved by independent voters. By then, the Republican opposition that tanked ObamaCare reform will be irrelevant. And please, hold the faux shock when Mr. Trump, a nonideological pragmatist, entertains Chuck Schumer’s Medicare-for-all as the final health-care fix. In Mr. Trump’s world, subcontractors come and go. The GOP shouldn’t bother trying to collect for work done. This disorder could surface the possibility that dare not speak its name until now: a more centrist Trumpian political party of the sort favored by Ivanka Trump. No one thought Emmanuel Macron’s party bolt in France could go so far. Look who’s out front undermining Mr. Trump’s health-care reform: Ted Cruz, Rob Portman, Rand Paul, Mike Lee and Ohio Gov. John Kasich. The nominal reasons each has given for opposing the reform don’t add up. What makes sense is compulsively ambitious Republican politicians positioning themselves to emerge from the rubble and run in 2020 against what they think will be a wounded president. They may end up with nothing but the rubble. Reasons abound for the GOP’s rump opposition to spend the July 4 holiday rethinking what it is doing. But the biggest of all is this: After eight years of rule by progressive presidential decree, they are putting in motion four more years of centralizing power by a Republican president. The opposition may alter American government forever, but this couldn’t be further from what they intended. The G20 nations are set to conclude their Hamburg summit with a unanimous declaration in a face-saving show of unity achieved despite the deep divisions on trade and climate change created by Donald Trump’s America First approach. “The outcome is good . . . We have a G20 communique not a G19 communique,” said an EU official on Saturday. The agreement follows days of continuous effort trying to reconcile disputes between the US and other nations while also taking account of the German Chancellor’s pledge to make clear important differences. The result will allow Angela Merkel, who is standing for re-election in parliamentary polls in September, to claim a success even though the meeting has been overshadowed by violent anti-G20 demonstrations in Hamburg. Berlin is also highlighting the opportunities given for bilateral meetings among world leaders, including the first face-to-face encounter between Mr Trump and Russian president Vladimir Putin, which the two men described as “constructive”. As well as agreements over trade, climate change and migration, the communique includes commitments to address global overcapacity in steel, which could help defuse growing tension in the sector: the US has been considering sanctions against rival producers and the EU is preparing to retaliate, raising risks of a trade war. The communique comes after weeks of fears that Ms Merkel, this year’s G20 president, might fail to achieve an agreement in the face of the disputes generated by Mr Trump by his criticisms of free trade and international co-operation and, especially, his decision to pull out of the Paris climate change accord, which the other 19 G20 states support. But following days of late-night discussions among officials, the G20 has agreed on almost everything. On climate, 19 subscribers to Paris are set to restate their commitment to fully implementing the agreement and push to expand renewable energy at the expense of fossil fuels. But they are also “taking note” of the US decision to pull out. EU officials said that of Saturday morning in Hamburg, one point of contention remained — a US demand for a reference to American efforts to develop “fossil fuels more cleanly and efficiently”, collaborating with partners. This is widely seen as a reference to boosting US gas exports. On trade, EU officials said the communique would follow closely the G7 statement at its recent gathering in Taormina, with commitments to free and fair trade and investment balanced by recognition of countries’ rights to take “legitimate” action in trade disputes. The communique speaks of “reciprocal and mutually advantageous trade and investment”, EU officials said. “This is Taormina plus,” said one, suggesting the pledge to keeping open markets were stronger than at the G7, despite Mr Trump’s continuing calls for cuts in the US trade deficit, which he repeated in meetings in Hamburg. On steel, EU officials said the G20 was committed to accelerating the development of the Global Forum on Steel Excess Capacity established at last year’s G20 summit in China. The members agreed to produce action plans by November and report back to next year’s G20 summit. The joint plan does not prevent the US from continuing to consider unilateral sanctions. But European diplomats said that the joint commitment signalled an improvement in the political atmosphere surrounding the sector. On migration, the EU officials expressed disappointment that there was no agreement on a Brussels-led push for United Nations sanctions on people smugglers, including bank account freezes and travel bans. The move was opposed by Russia and China which said such actions were beyond the G20’s remit. Meanwhile, the G20, together with the World Bank, on Saturday announced a $325m fund for supporting female entrepreneurship in developing countries. Mr Trump said the initiative would help the world economy to grow and “millions of people will be lifted out of poverty”. Ivanka Trump, his daughter, has backed the plan. At one point on Saturday, Ms Trump briefly replaced her father at the main table while the US president was holding a bilateral with another leader. While Ivanka Trump also serves as a top White House official, the image of her sitting between Chinese president Xi Jinping and British prime minister Theresa May underscored the powerful role that Ms Trump and some other inexperienced officials play in the Trump administration. The White House dismissed suggestions that her appearance was irregular. One official told the Financial Times that she briefly sat at the table when Jim Yong Kim, the World Bank president, was speaking about African development, partly because the US committed $50m to the World Bank facility to help women.The White House official downplayed the significance of the situation, saying that some other G20 leaders were replaced by members of their delegations when they stepped out of the main event. But Daniel Price, a former top White House official in the Bush administration who served as US sherpa for international summits, said it was very unusual for a relative of the president to sit in his place. “I’m unaware of a relative ever having replaced a leader. In the past, and on rare occasions, a minister will sit in for a leader for part of a session,” said Mr Price, who is now managing director at Rockcreek Global Advisers. The price of gold dropped from $1,241 as of Friday’s close to $1,219 on the close Monday, or -1.8%. The price of silver fell from $16.58 to $16.11, or -2.9%. It is being called a gold and silver “smash” (implication being that one party or a conspiracy is doing the smashing). Our goal is to help you develop a clear understanding. The move today is no mystery. Monetary Metals makes an intensive study of the spread between the spot market—where metal is bought and sold—and the futures market. Much analysis treats these market moves as mysterious, literally inexplicable except by reference to nefarious actors who are variously trying to make illicit profits or who act not-for-profit to somehow protect the dollar. Which they do by somehow pushing down “paper” gold. Which they do by sheer size, size being the critical characteristic to manipulate markets. However, ask anyone who has ever run a multibillion dollar fund and you will get the opposite picture. Size is a disadvantage, because when you buy, you end up with a higher price and when you sell you get a lower. At least if you are trying to make money. 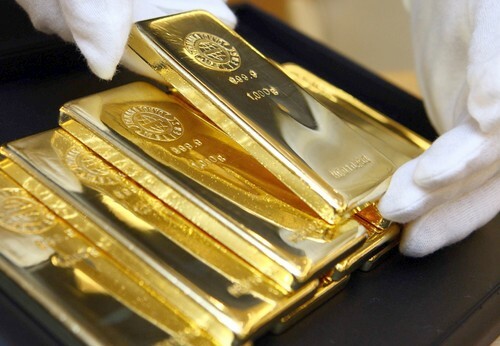 In this conspiracy view, people who hold gold are long suffering, waiting for the “signal failure” when the banks can no longer hold the price down. And then it will be a moonshot to $13,000 gold (or whatever the magic number is supposed to be). This same story has been used to explain market moves when the price was $250 and when it was almost $2,000 and today at $1,220. Don’t hold your breath. Instead, use your faculties of critical thinking. Does this make sense? And which is it, anyways? Are these conspirators supposed to be a for-profit racket? Manipulating gold and silver for their gain (in dollars) and your loss? Or are they not-for-profit, acting without regard to their own balance sheets simply to protect the dollar… protect it from what? What bad, exactly, was supposed to happen when gold reached $1,000? That was the topic of conversation in the late 1990’s, $1,000 was a line in the sand and far away. What happened when gold hit nearly $2,000? And what is the mechanism of this manipulation? Do they sell metal or futures? If futures, then what happens at contract expiry? If they were truly naked short, they would have to buy back the expiring contract and sell the next one. That would have a distinct signature, with each contract rising sharply into a great contango as it neared expiry (the opposite of what actually happens). And this brings us back to the market action on Monday July 3, and the spread between spot and futures. Let’s take a look at the price of gold overlaid with the basis. We see they are remarkably correlated. As the price drops, so does the basis from -0.2% to -0.4%, or -20bps. This is a picture of selling primarily in futures. Speculators got flushed for whatever reason. The price fell, but our calculated fundamental price barely moved from $1,334 to $1,331. Incidentally, in the Supply and Demand Report yesterday we noted that the cobasis of the August contract was 0. It is now +0.2%, aka backwardated. Here is the graph of the silver action. The silver basis fell from -0.36% to -0.92%. Like gold, the selling in silver was predominantly futures. A word on this is appropriate. When we say “primarily” or “predominantly” we refer to which market was leading. The absolute change in the spread is very small relative to price. If there had been no selling in spot, and the futures price had dropped by 47 cents, then there would be a 47-cent backwardation. In such case, we would be bellowing from the rooftops about the broken silver market! Paraphrasing our old buddy Aragorn, the day will come when there is 47 cents of backwardation in silver. But today is not that day! There was plenty of selling of metal also. It’s simply that the selling of metal was trailing the selling of futures, pulled along by arbitrage and lagging behind. It makes sense that most big price moves are driven by the futures market. Futures are made for trading: they have low costs, great liquidity—and leverage. The silver cobasis was also 0 on Friday. It is now +0.6%. Our calculated fundamental price of silver is up 9 cents to $17.94. New South Korean President Moon Jae-in and U.S. President Donald Trump will try to demonstrate a united front on the North Korea situation during Moon’s visit this week to Washington. But any display of joint resolve would belie a different reality: For all their shared interests, the stalwart allies will not see eye to eye on North Korea at the time when cooperation is needed most. The U.S. is laying the groundwork for military action against the North’s nuclear and missile programs, seeking to systematically demonstrate that all measures short of war – international isolation, U.N. sanctions, Chinese pressure and a return to negotiations – will prove insufficient. South Korea, which would bear the brunt of the war, is looking for a way out. If Washington is compelled to move decisively toward war, the South cannot prevent it. But Seoul will try to stall the U.S. – if only for the fleeting hope that circumstances will change in its favor. South Korea’s strategic outlook is rooted in its geographic position. Wedged between Northeast Asia’s foremost historical powers – China, Japan and Russia – the Korean Peninsula is often referred to as the “shrimp among whales.” Despite the threats emanating from the North, over the long term, South Korea’s biggest geopolitical challenges will once again flow from the stronger powers to its west and east. Even today, Beijing and Tokyo occupy as much of Seoul’s attention as Pyongyang. China’s economic retaliation in response to Seoul’s deployment of the Terminal High-Altitude Air Defense, or THAAD, system, for example, has highlighted the South’s growing economic reliance on the Chinese and the inevitable overlap of their military interests. And though Japan has developed into an ostensible liberal democratic ally for the South, ties have remained overshadowed by the history of Japanese invasions, spanning from the 1500s to World War II, and by Japan’s gradual re-emergence as a regional military power, both of which have hindered bilateral cooperation. For example, though the North is a substantially bigger threat to the South than Japan is, Seoul stalled a pact on Japanese-South Korean intelligence sharing on Pyongyang until late last year. Last week, South Korea held annual drills to practice defending islands disputed not with the North but with Japan. Historically, the South has pursued a strategy common to “middle powers” that have little room to maneuver among stronger neighbors: balance ties with the bigger powers and play them off each other where possible, positioning yourself as essential to the economic prospects of the entire region. This strategy puts a premium on agility and independent decision-making – and the ability to project enough power to preserve them. The biggest drag on this strategy has been the division of the Korean Peninsula. The buildup of hostile forces across the demilitarized zone has forced South Korea to focus its power projection capabilities northward. It also saddled the South with a heavy dependence on U.S. defense guarantees, so much so that it subordinates its strategic preferences to those of Washington. Despite occasional bouts of opposition from liberals and nationalists who see the American presence as driving the North to its extreme positions, South Korea has generally remained keen to keep the U.S. security umbrella firmly in place – for example, by repeatedly agreeing to delay the return of wartime operational command over the South’s military from the Americans. U.S. guarantees, after all, have enabled Seoul to limit its defense spending and focus instead on harnessing Northeast Asia’s economic vitality to enhance its regional influence. Still, South Korea has little interest in being used as a geopolitical football by outside powers. And its swings between hard-line and “sunshine” policies toward the North have not always come in conjunction with Washington’s preferences. Today, South Korea is continuing the familiar pattern, moving from the relatively hard-line approach of Moon’s predecessor, Park Gyuen-hye, to Moon’s longstanding pledges to tilt more heavily toward engagement. But this time, the South is stuck between a U.S. and a North Korea whose respective geopolitical imperatives have finally put both on a path toward war. If North Korea develops the ability to attach a miniaturized and ruggedized nuclear warhead to an intercontinental ballistic missile, it can nuke Los Angeles. The United States will not tolerate this. For South Korea, an ICBM would change little because it would not pose a substantially greater nuclear threat to the South Korean heartland than the North’s intermediate-range missiles already pose. Meanwhile, though there are doubts about the potency of the North’s aging conventional rocket and artillery capabilities, the possibility that the North can already inflict major damage on population centers like Seoul is very real and immediate. Nearly half of all South Koreans live well within the strike range of Northern artillery batteries amassed along the DMZ. As a result, Seoul does not share Washington’s urgency to prevent Pyongyang from developing an ICBM, and it would bear a much higher cost if the U.S. chooses to go to war. This, at minimum, puts the U.S. and South Korea on different timelines for military action. The U.S. doesn’t want war, but it thinks the North has already crossed a red line. The South has an immediate imperative to give other means of pressure every chance of success. So here the question becomes: Does South Korea get a vote on whether the U.S. goes to war with the North – or at least a vote on when the war takes place? Given the growing urgency in the U.S., South Korea cannot be certain that it will. And if war breaks out, the South would have no choice but to move decisively to join the fight in order to save Greater Seoul. The South has a better chance to influence the U.S. timeline for action than it does to stop the U.S. from acting. One lesson the U.S. learned in the Middle East is that how the start of a war is perceived globally has strategic significance. Washington’s intent regarding North Korea is to demonstrate that it has left no stone unturned before taking military action. This creates an opportunity for Seoul to try to stall American action by making the case that non-military options remain. The South Koreans will try to bring the North to the table, however fruitless engagement has been in the past, to create at least the appearance of progress through dialogue. To maximize its freedom of action, Seoul could again tilt away from its allies and throw its weight behind a dialogue process led by the Chinese, who share its interests in staving off war. With the U.S. making its intentions toward the North clear, Seoul may think the conditions will ripen just enough to compel Pyongyang to cooperate. This strategy will have a short shelf life. An indefinite suspension of U.S.-South Korean military exercises, as proposed by Beijing and demanded by the North, would require South Korea to stomach the prospect of a dramatic break from the U.S. and to carry its own security burdens. It would also make Kim Jong Un the decisive player in the standoff. The Chinese can’t bring him to heel, and U.S. will not be any more inclined to pin its security on blind hope that Kim will risk the legitimacy of his regime by standing down. 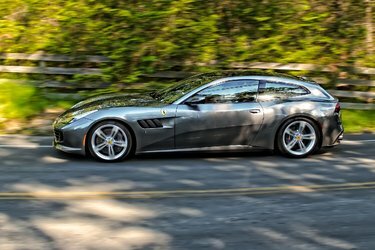 The GTC4Lusso provides the kind of performance most Ferraris lack — the ability to haul four passengers. Just don’t call it a station wagon. Photo by Martin Campbell. Few of us have the disposable income that allows a choice between a useful crossover and a Ferrari. But for the fortunate few, Ferrari, the automaker from Maranello, Italy, provides a family-friendly choice. The GTC4Lusso seats four fairly comfortably, though its high performance may scare the Pampers off the twins. The vast majority of eyes attracted to the Lusso’s svelte silhouette see it as a station wagon. It’s not. It’s a “shooting brake.” What’s the difference? Station wagons have four doors; shooting brakes have two. That makes it less practical than a minivan, but hey, there’s a price to pay for high style. Ah, a perfect segue to the price tag. With shipping and the mandatory $3,000 guzzler tax, the GTC4Lusso starts at about $306,000. With a $20,249 panoramic glass roof (worth it) and a $12,486 paint job (nice, but could be a pass), my tester came to $377,222. Ponder the cost and option list, then ask yourself: Do both kids have to go to Northwestern? This is not the first shooting brake from Ferrari. The departing FF had a profile similar to the GTC4, but the new model is far more fetching. Both have all-wheel drive (a rear-drive version of the GTC4 with a turbocharged V8 is scheduled for 2018). Lusso’s all-wheel-drive system is unique in that the front wheels are connected to a two-speed transmission while the back gets a seven-speed. Once the rear unit slips into fifth gear, the front transmission disengages, turning this Ferrari into a rear-drive car. The cylinder count is equal to three Honda CR-Vs. There are 680 horsepower and 514 pound-feet of torque to summon. Nearing the red line of 8,250 r.p.m.s, a wicked snarl barks from the four exhaust pipes. Drive modes cover everything from dropping off the babysitter to slicing up the autobahn. This can be a relaxing car to drive (as relaxed as one can be driving a $377,000 car). The adaptive suspension can be softened for commuting. In comfort mode, it’s, well, comfortable, though at a couple of inches longer than a Toyota Highlander, it is not petite. Stuffed with sound insulation and clad with laminated glass, the GTC4Lusso is moderately quiet until the throttle is dropped. Then, the wonderful cutting exhaust note floods the cabin like the world’s most precise and expensive chain saw. There’s no need to spring for the $6,243 premium audio system with a live performance like that. Carbon ceramic brakes will bring it to a rest in an amusement-park-ride manner. Those brakes are fade free, even after multiple panic stops. A warning, though: Demonstrating this with the clan onboard will lead to carsickness. Guaranteed. Driving hard will surely return fuel economy lower than the Environmental Protection Agency’s rating of 12 miles per gallon in the city and 17 on the highway on the required premium gas. I’ll be passing the hat to cover my expenses there. GTC4Lusso’s controls are quite different from those of most other cars. The Formula One-style steering wheel houses the engine start button along with switches for the suspension, windshield wipers, drive modes and turn signals. There are no control stalks. Behind the D-shaped wheel are enormous shifter paddles. Owners will be happy to spend hours learning the Lusso’s operation in the luxurious space. The visual heft of drilled aluminum pedals, the silkiness of the air vents and seemingly 10 cows’ worth of perfect leather must be experienced firsthand. The user interface, with its rich LCD display, is of solid design and layout. Want Apple CarPlay? It’s available — for an additional $4,219. If your driveway is steep, that money is better spent on the $6,749 lift kit that helps to keep chin scrapes at bay. The long doors do not open especially wide, but access to the back is fine. There, the deep bucket seats hug like a mom on the first day of kindergarten. A center console, seat pockets and cup holders keep things tidy. Special Ferrari child seats can be ordered for the little ones. And, no, you can’t buy those for your Ford Country Squire wagon. A Ferrari V.I.N. number must be provided to purchase them. Ferrari’s 488 GTB is limited to just two carry-on-size suitcases. With the rear seat usable, the GTC4Lusso holds a generous (for a Ferrari) four, 10 with the 40/20/40 split seat backs dropped. Rethinking the Subaru, are you? I took this all-wheel-drive machine into the mountains during the Memorial Day weekend and had no problems on a short stretch of dirt road that delivered my wife and me to a newly discovered trailhead. The Ferrari was a fish out of water parked near the Outbacks and Jeeps. I wonder if there’s a factory kayak rack. Take away the prancing horse badge (the side shields are $1,856, by the way) and the GTC4Lusso remains a sleek, desirable machine that pleases the eye. Those who believe Ferraris should look and be family unfriendly will sneer at the shooting brake silhouette. And that’s fine. Those people don’t need to buy one. Practical, fleet of foot and one of the rarest models the Maranello factory will produce, the GTC4Lusso isn’t for everyone. But it’s an exclusive Ferrari that’s very inclusive.